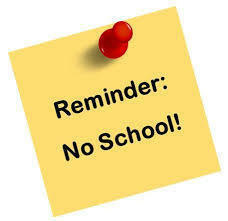 NO School on Thursday Oct 18 and Friday Oct 19 for students. Teacher state convention days. See you on Monday Oct 22.